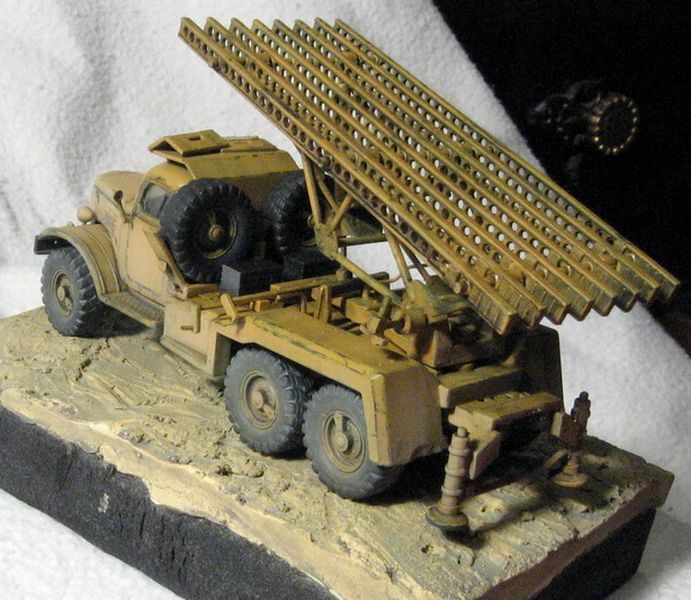 Presentation of models built by Adrian Turcu from Romania. 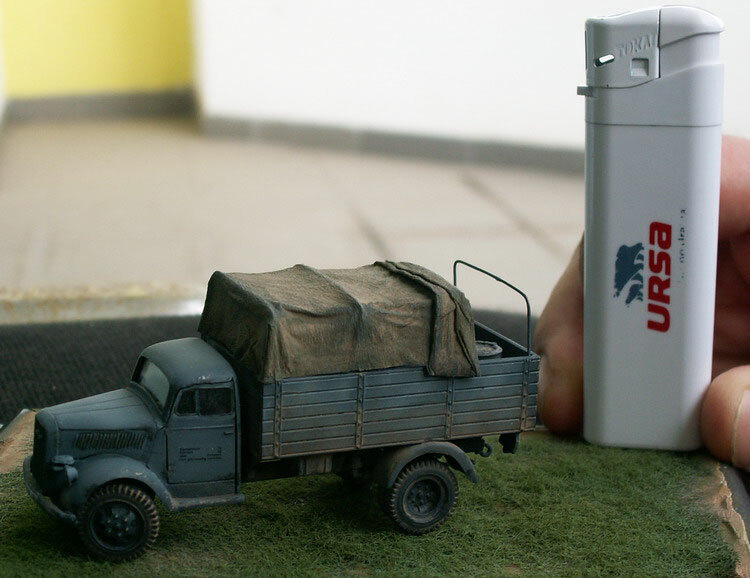 With comments by Adrian Turcu. 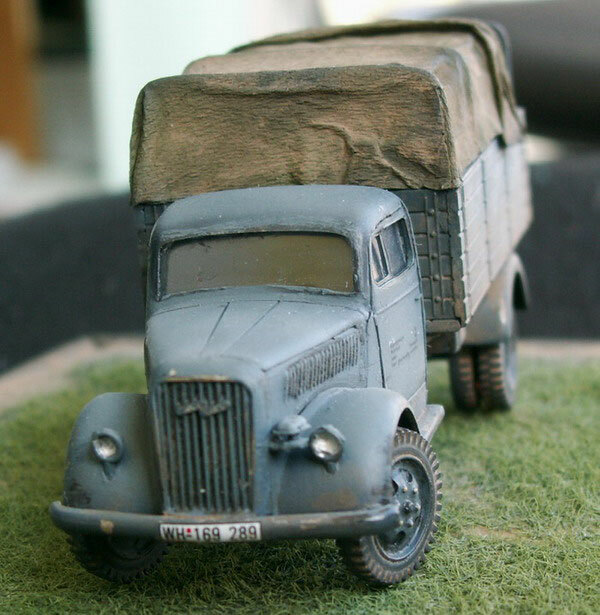 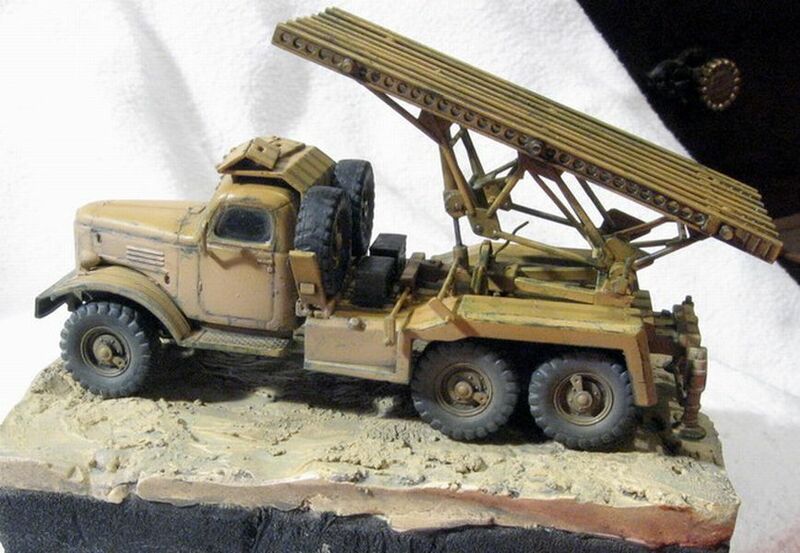 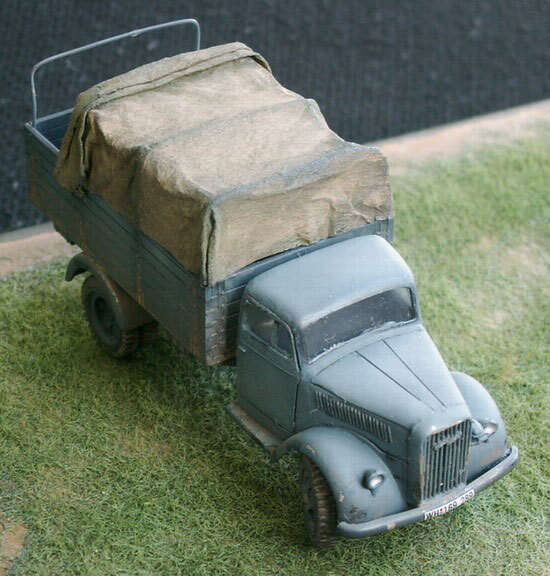 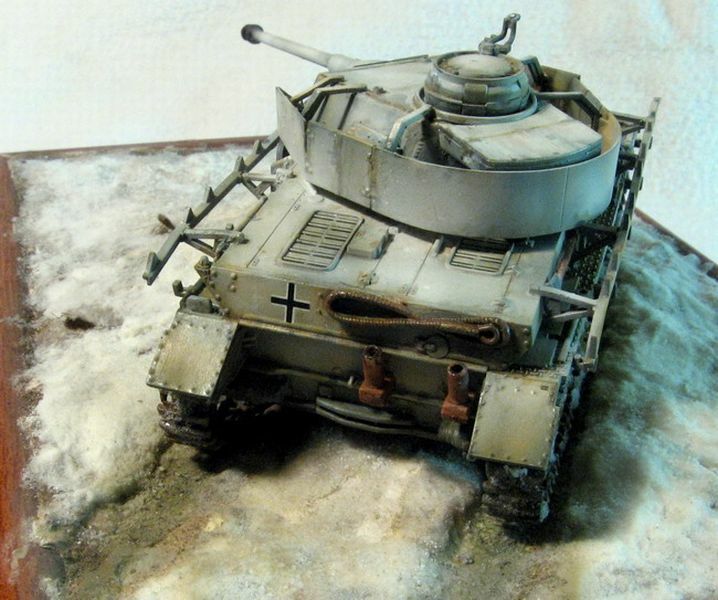 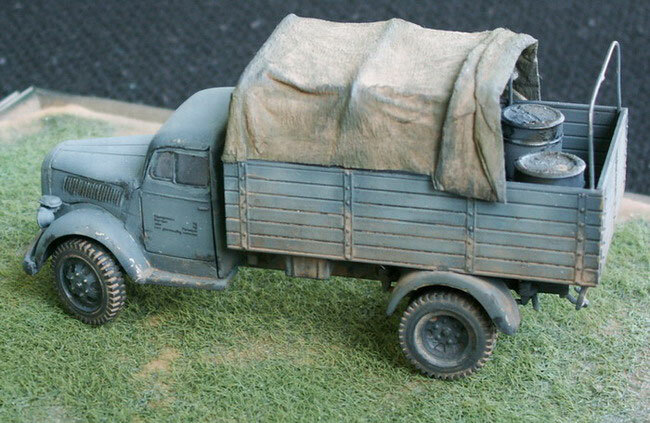 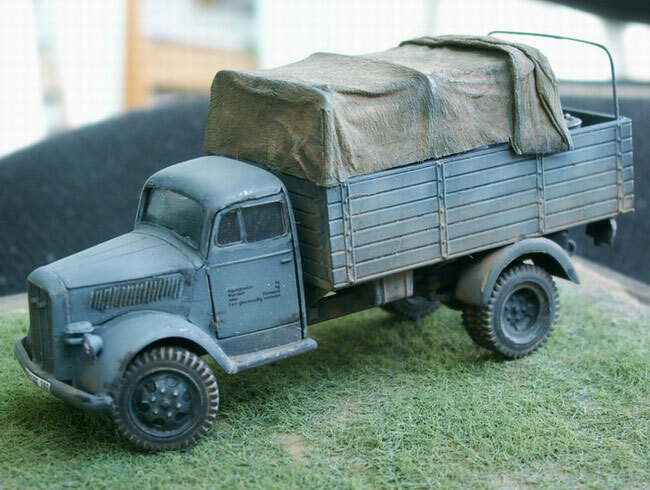 Opel Blitz, Italeri (ex-Esci mold), 1:72. 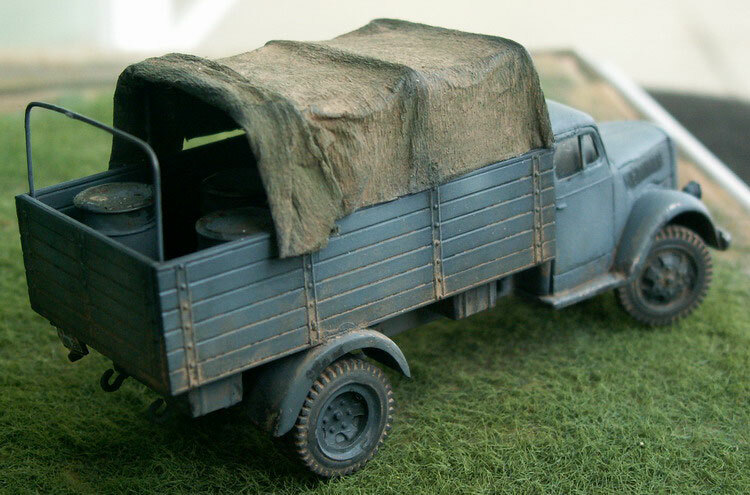 I've added the transparencies, tarpaulin (paper towel moist with dilluted white-glue) and the brass rod frame supporting it. 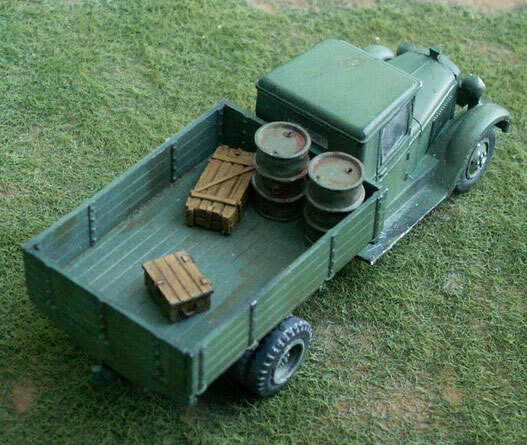 Barrels are from the box. 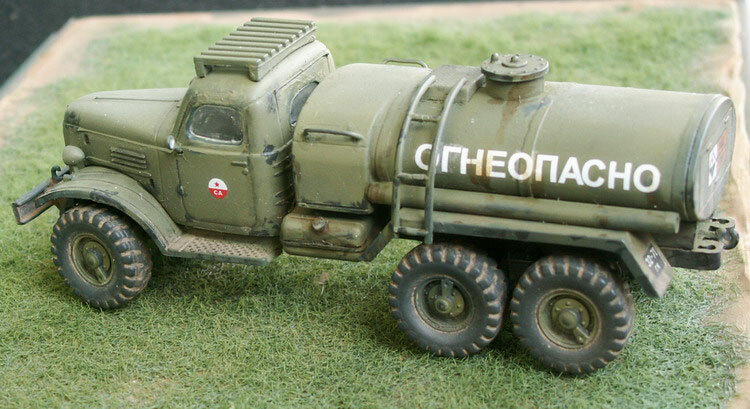 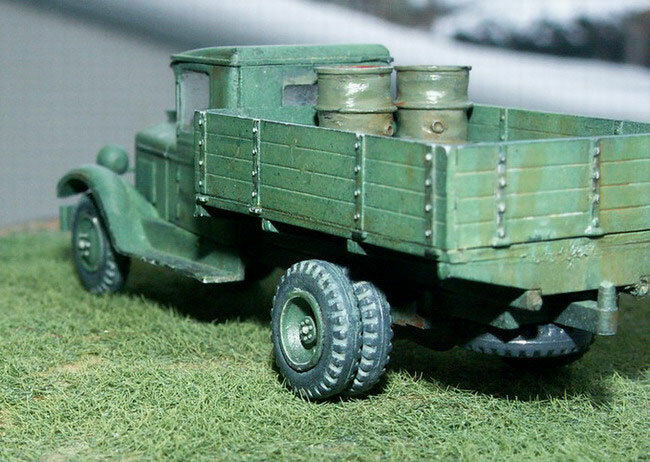 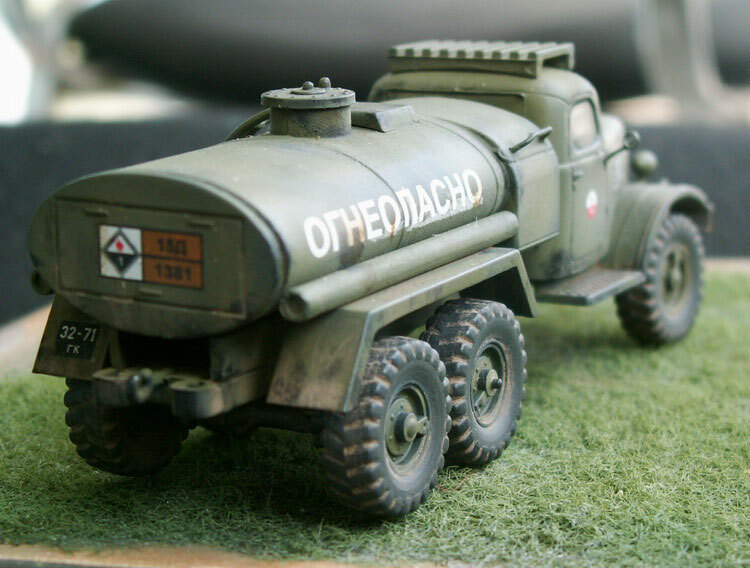 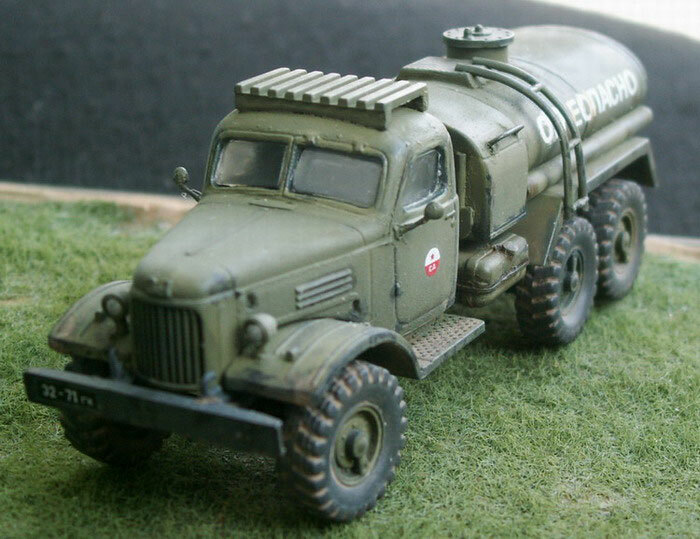 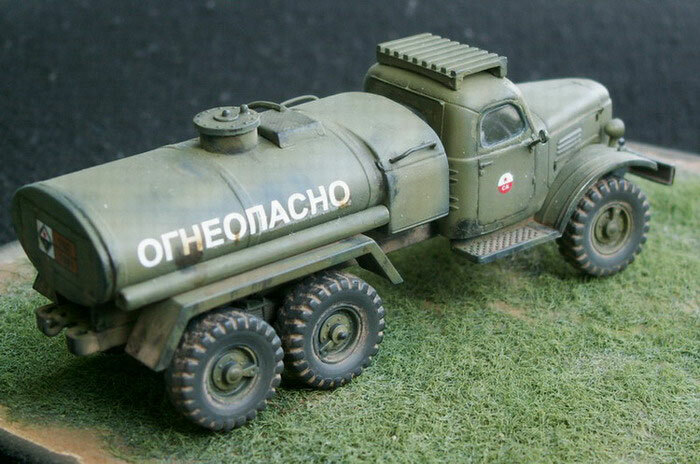 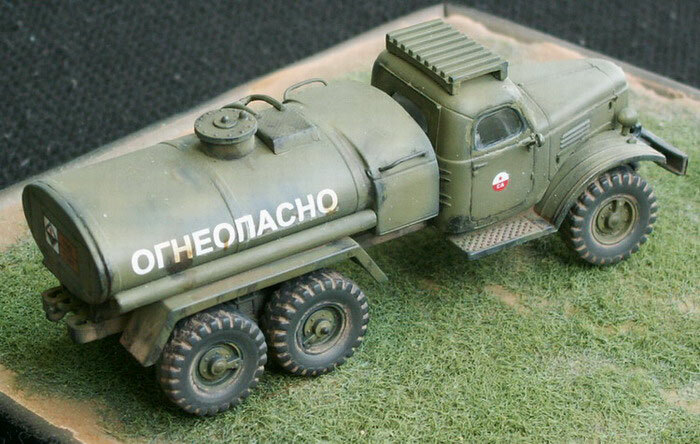 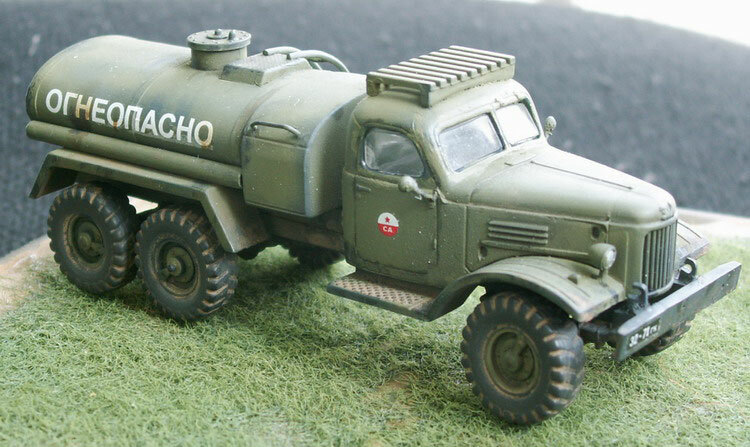 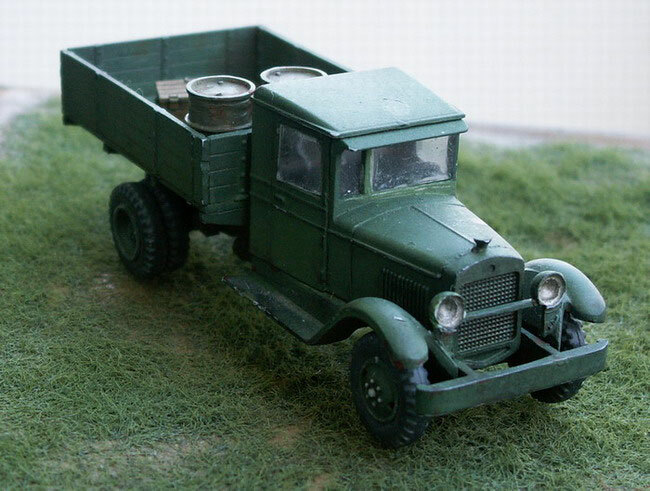 Zil-157 Fuel Bowser, ICM, 1:72. 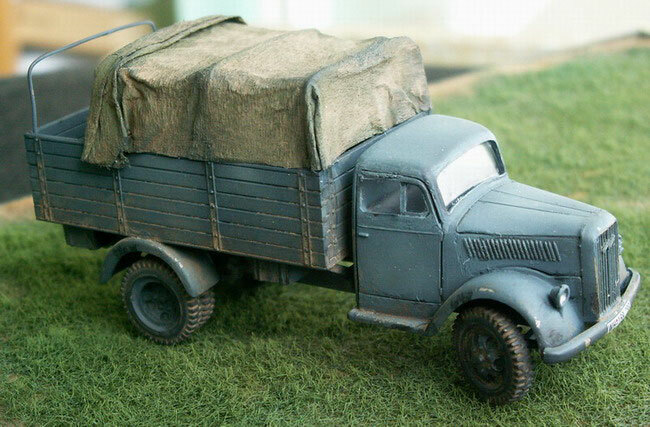 The model is build straight out of the box, only additions are a few brass handles to replace the original ones from the kit. 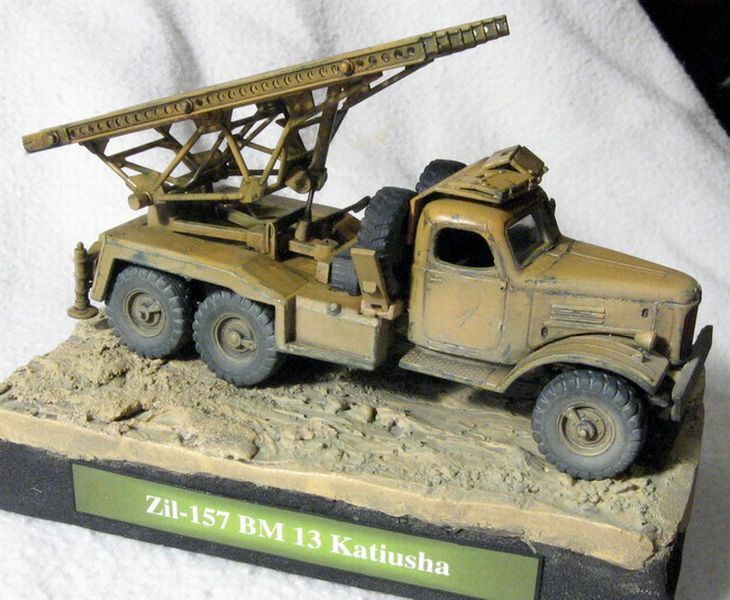 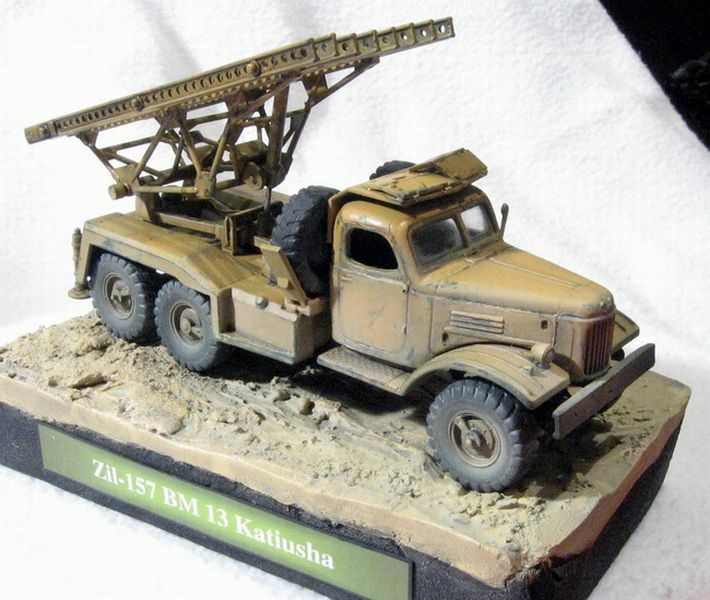 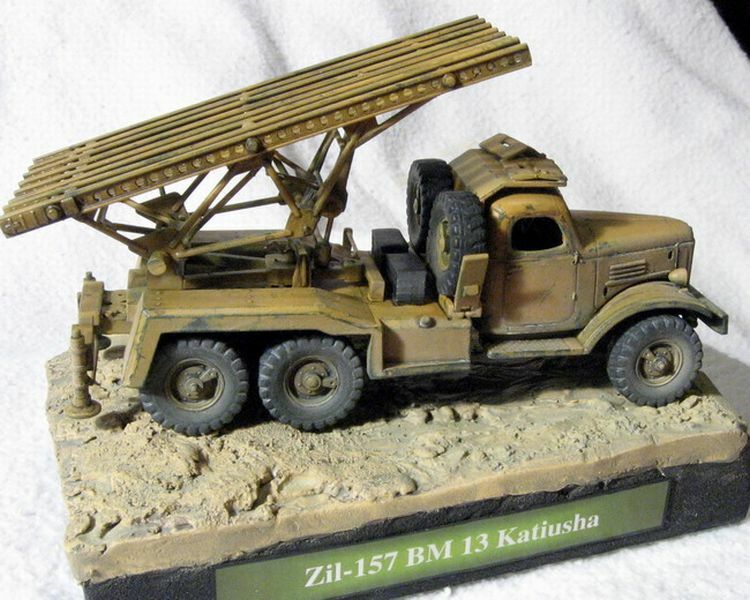 Zil-157 BM-13 Katoesja, ICM, 1:72. 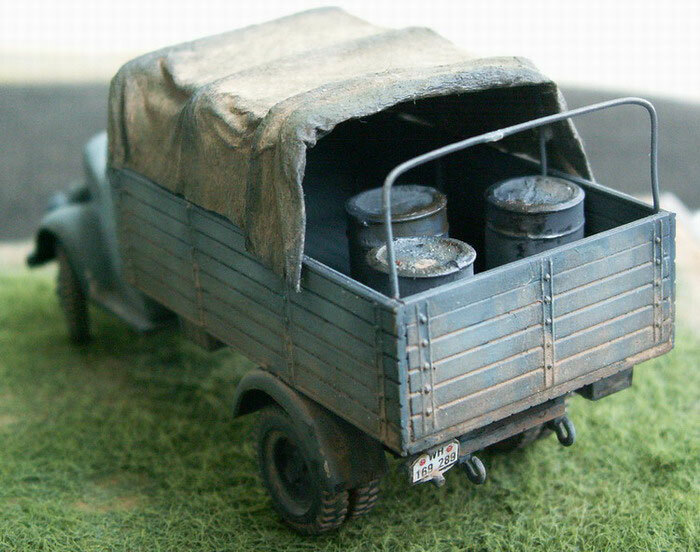 I have only added barrels and boxes from Details72 and some clear film for the transparencies. 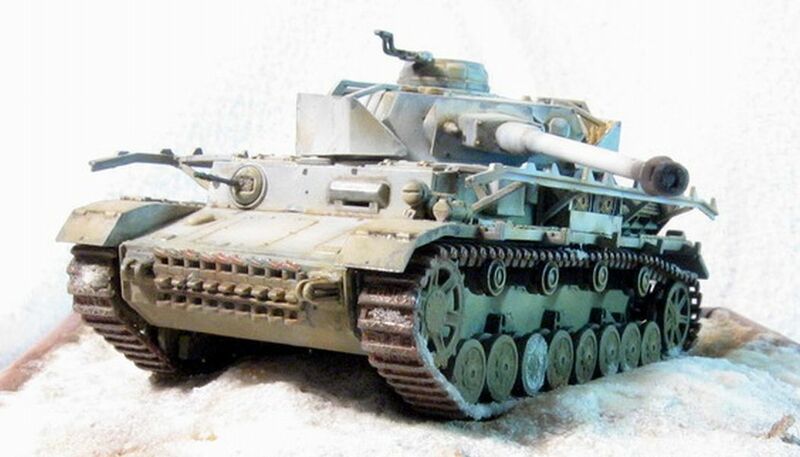 German Panzer IV Ausf. 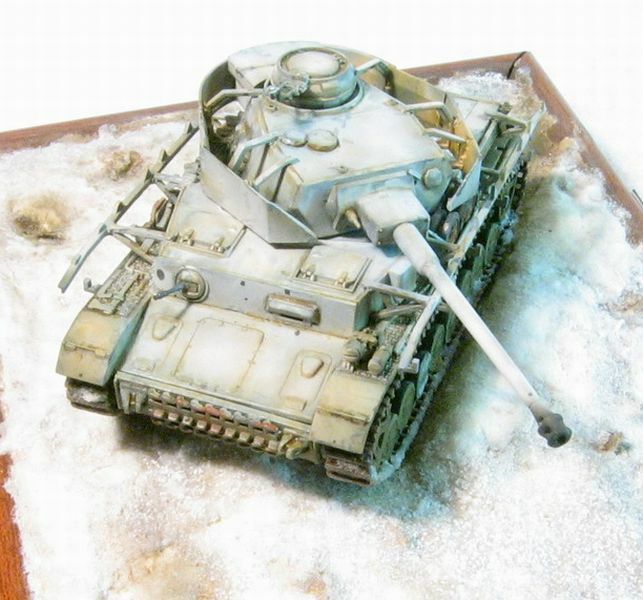 J - eastern front. 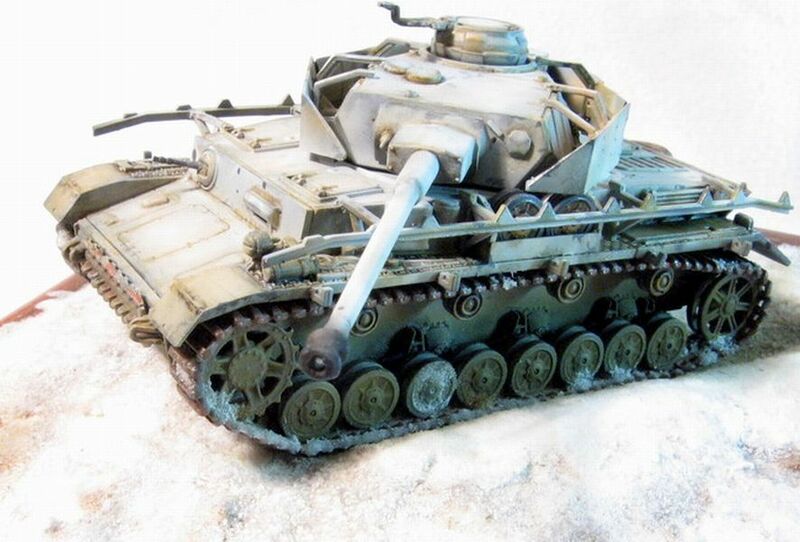 Pz. 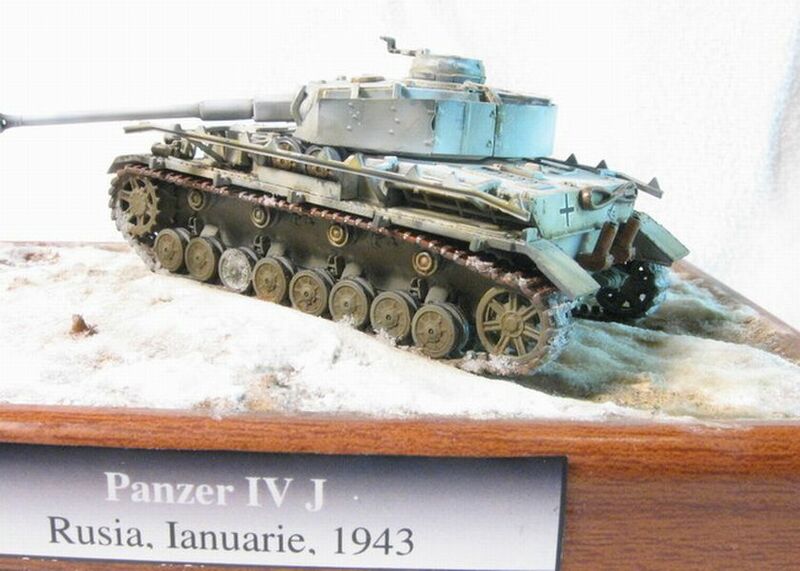 IV Ausf. 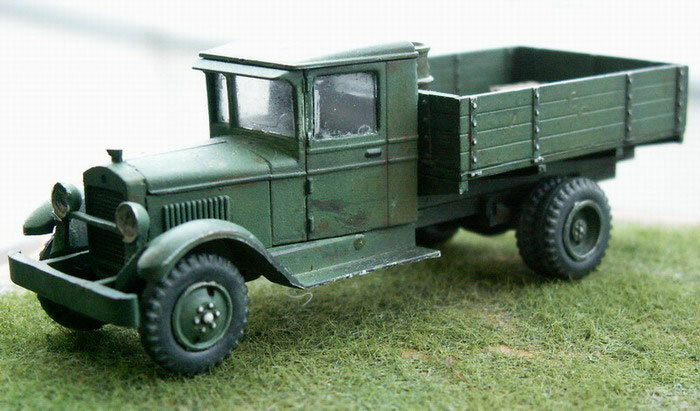 J, Revell, 1:72.